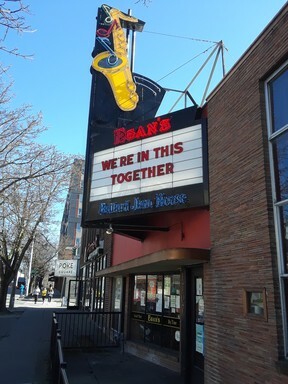 Egan's Ballard Jam House is dedicated to the cultivation of small venue performance and innovation in the jazz club and acoustic music showcase tradition. We also have a great dinner menu! All ages are welcome until 11:00pm. Thanks for your interest! Hope to see you soon! NOTE: Closing times are approximate. We start shutting down after the last show of the evening ends. It's also a good idea to check our schedule - we won't be open if we don't have any shows booked for the evening.